Exciting news for fans of classic martial arts films! Chinese master King Hu’s 1979 film Legend of the Mountain will now be available for the first time in a pristine digitally restored director’s cut for audiences in North America, UK and Ireland. The first trailer of this version has just been released. 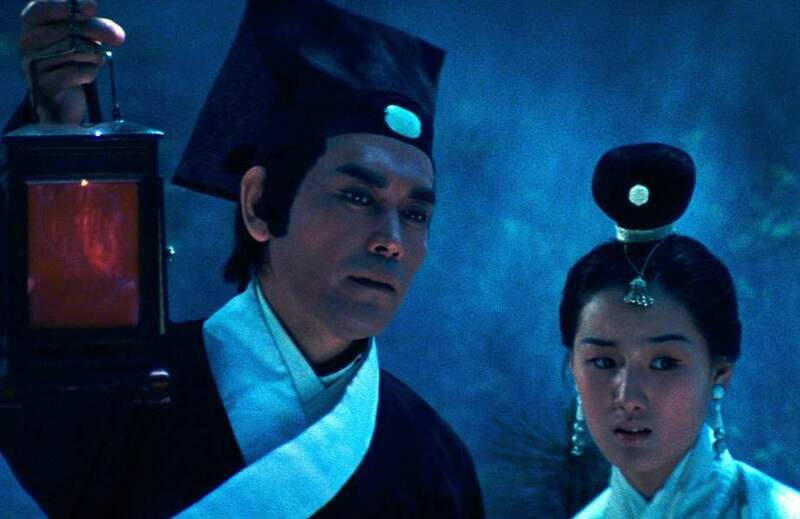 The fantasy, horror, mystery movie is one of a handful of wuxia films made by King Hu, whose creations from the 1960s and 1970s have inspired films like The Matrix, Crouching Tiger, Hidden Dragon and House of Flying Daggers. Eureka Entertainment and the US distributor Kino Lorber have collaborated to acquire rights for these territories from the Taiwan Film Institute, and plan to release it in 2018 as part of The Masters of Cinema Series. The three-hour cut had its debut at the Venice Film Festival, and is the third film by King Hu to be released after digital restoration, after Dragon Inn (1967) and A Touch of Zen (1971). Set during the 11th century Sung Dynasty, the film features Ho, a young scholar responsible for translating Buddhist sutras that are believed to have power over the creatures of the afterlife. Wandering through a strange, haunting mountain landscape, he loses his grasp of space and time. Along the way, he encounters temptress ghosts, Taoist priests, ancient abandoned fortresses and inns, and a delirium of color, sound and silence. The result is a supernatural fable transcending into a spiritual experience for both the protagonist and the viewer. This looks like a must-see film for action fans unfamiliar with the work of Hu, whose films are considered to have brought Chinese cinema, including that of Hong Kong and Taiwan, to new technical and artistic heights. It might also interest fans that some of the earliest films of another great of Asian cinema, Sammo Hung, were with King Hu.